As I am sure most of the world is aware Australia's East coast is one of the many places around the world being hit hard by awful weather. People are evacuating and moving to high ground any way that they can. 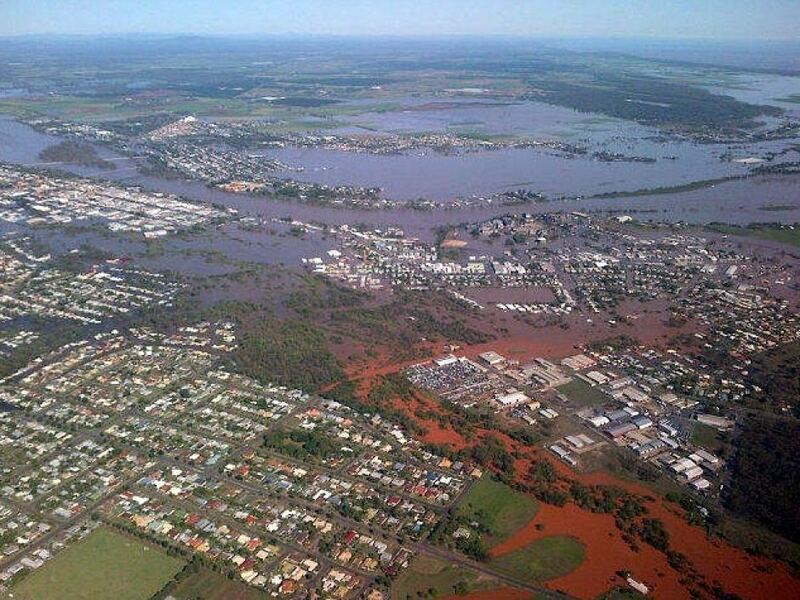 Like in 2011 there is flooding up and down Queensland and New South Wales. My DH's family are in Ipswich - an area that took a pretty hard hit again this time. Rosa O (our temari sister) in Bundaberg tells me that she is living on a 'small island' of land adjacent to the evacuation center. I'm glad they are all safe and sound. So now you can understand the context of an email newsletter that I received this week from the owner of a bead retail/wholesale store located in Queensland. I have made purchases from this business when doing some beading has taken my fancy. The store is called Bead Trimming and Craft Co. Here is the email. What a weekend! Once again Mother Nature has taken it out on our sunshine state. Hope all our customers have stayed safe during the storm. Thank you to all our customers for the best wishes over the weekend. For those who have not heard, we will be operating out of 304 Logan Rd, Stones Corner from the 3rd of March. The good news, we are on track for an easy transfer as we have been busy relocating our bulk stock including over 1000 Swarovski Crystal bulk boxes to our basement level. The bad news, on Monday morning over 1.5 meters of water flooded our basement destroying 100’s of boxes including over 500 Swarovski boxes. Although very disappointing, there is only great news for our customers. The Stones Corner creek will be known as Australia’s prettiest creek as Swarovski Crystal, Sequins, Pearls etc flow down to meet the Brisbane River. Please note, we are trading as normal today. There are no road closures at South Brisbane. There will be more updates on our relocation in the coming weeks. Wow! That must be the most amazing positive attitude to a bad situation. This is what I romantically imagine that jewels floating down the river would look like. Best wishes to everyone fighting Mother Nature wherever you happen to live. Prayers go out that all can do as well and stay as upbeat as your bead store.